John Oates in Memphis, Tenn. Sometimes, things just don’t work out the way you intend. 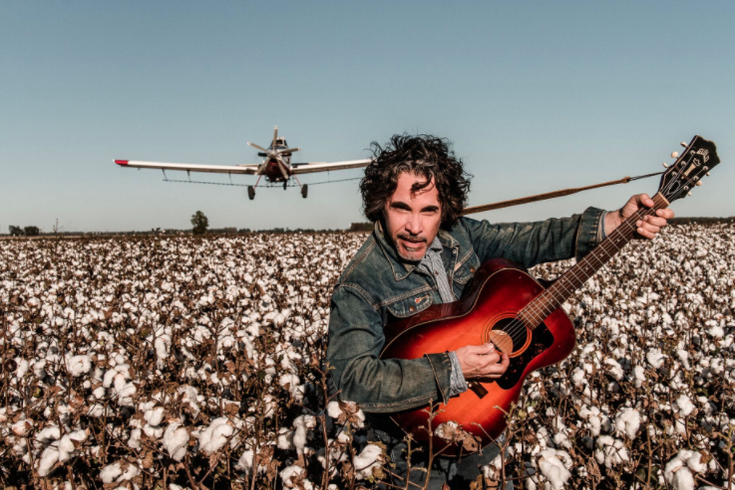 Take, for example, “Arkansas,” the seventh and latest solo effort from pop superstar John Oates. As the New York-born, North Wales, Montgomery County-bred singer-composer explained during a recent phone chat occasioned by his Feb. 6 gig at World Café Live, the finished product—primarily a collection of classic Americana he describes as “Dixieland, dipped in bluegrass, and salted with Delta blues”—was not what he originally set out to create. “Originally, the album was gonna be called 'Hurt,' because it was gonna be a tribute to [bluesman Mississippi John Hurt,” he explained. The Nashville-based Oates soon enough answered his own question by recruiting a troupe of top Music City session players including mandolin whiz Sam Bush, a progenitor of the “Newgrass” sub-genre, and pedal steel guitarist Russ Pahl. From the jump, he said, he knew he had something special. “Arkansas” was recorded in two one-week sessions in the fall of 2016 and winter of 2017. The recording process moved quickly because, “It's basically live in the studio. There's no overdubs or repairs. It's just playing. Perhaps what is most surprising about “Arkansas” is that it represents artistic influences on Oates that have nothing to do with the kind of Philly soul/R&B that informs the music of Hall & Oates—the best-selling duo in pop music history. It’s an old story, how as youngsters Oates and Darryl Hall were molded by the music they heard on Philly’s two African-American-oriented powerhouses, WDAS-AM and WHAT-AM, as well as WIBG-AM, the city’s Top 40 behemoth of the late 1950s and early-to-mid-’60s. But, it turns out, it’s not the only story. “I wasn't just listening to WIBG and WHAT and 'DAS. You have to remember what was happening,” he offered, namechecking the still-going-strong Philadelphia Folk Festival as well as long-gone folk dens like The Second Fret in Center City and the Main Point in Bryn Mawr. “These were very important venues for American traditional music [coming] through Philadelphia. And even though Philadelphia is mostly associated with the great R&B of Gamble & Huff, there was a lot of folk music happening. “I was fortunate to be there at the same time, absorbing this great urban R&B, but also this really traditional America Music that was happening. And I was very lucky to meet this guy named Jerry Ricks, who became my guitar teacher and mentor, who was personal friends and hung out with a lot of these great performers. See John Oates at World Café Live, 3025 Walnut St. on Feb. 6 at 8 p.m. Tickets are $55 and $35. For more on “Arkansas,” click here. Chuck Darrow is a veteran entertainment columnist and critic. Listen to “That’s Show Biz with Chuck Darrow” 3 p.m. Tuesdays on WWDB-AM (860), WWDBAM.com, iTunes, IHeartRadio, and TuneInRadio.